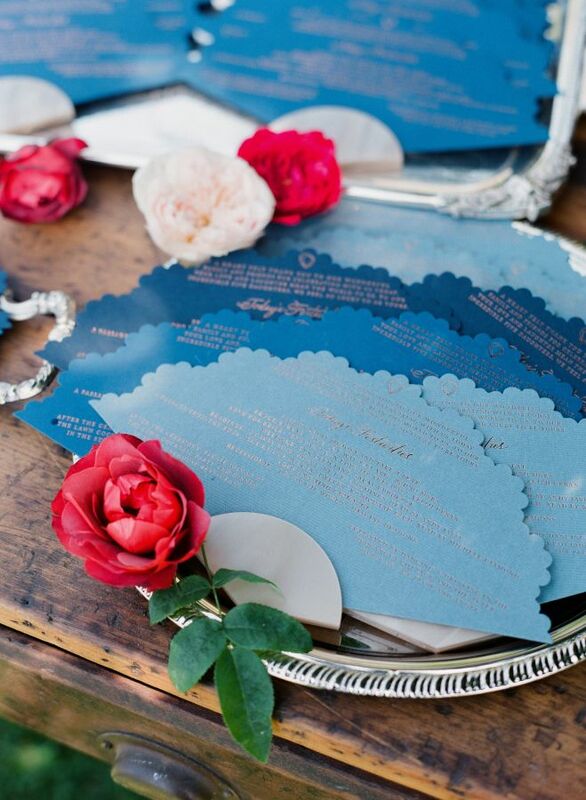 These blissfully blue wedding ideas are absolutely amazing! 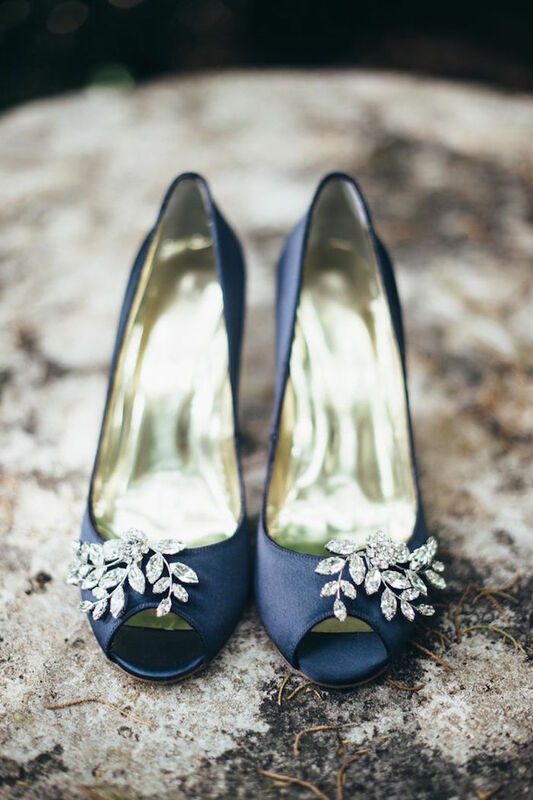 From the most gorgeous wedding shoes, to stunning blue bridal essentials, this wedding inspiration is sure to wow! 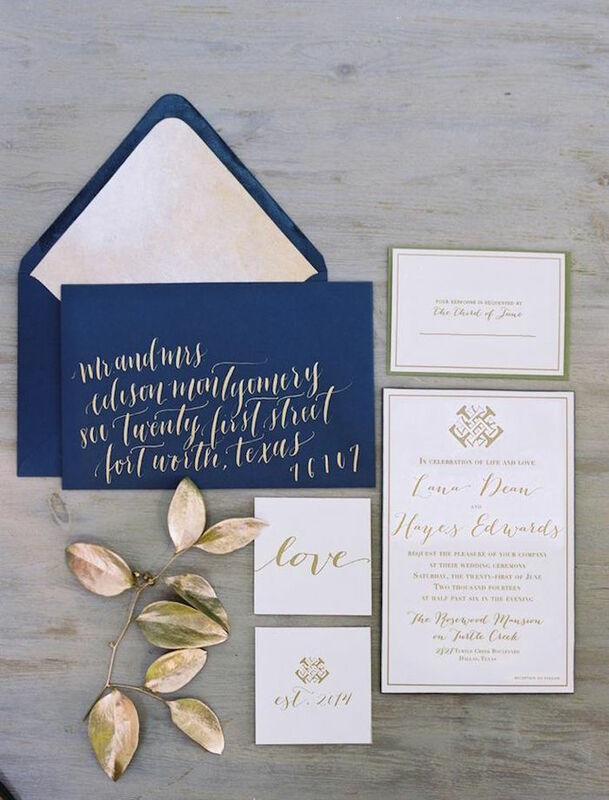 With such a dreamy color that represents royalty, what better way to show off this perfect pigment than in a luxury wedding? 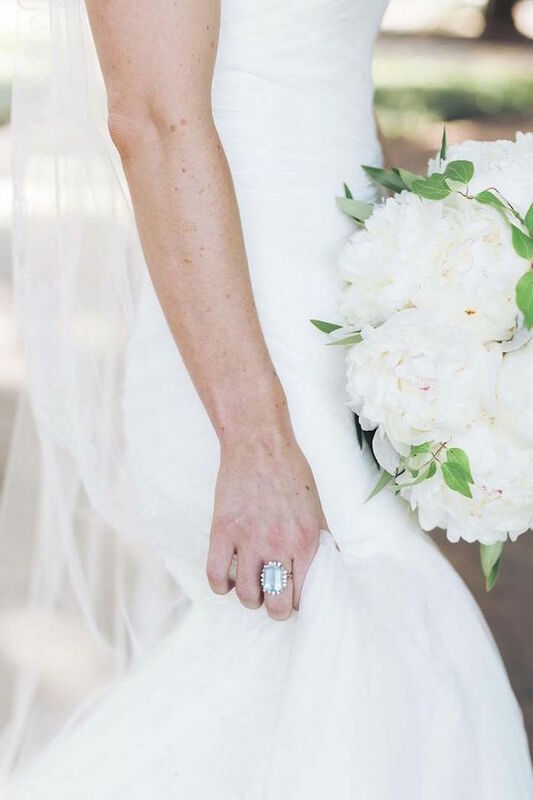 Get the prettiest wedding day looks from these blue wedding ideas that are simply charming! 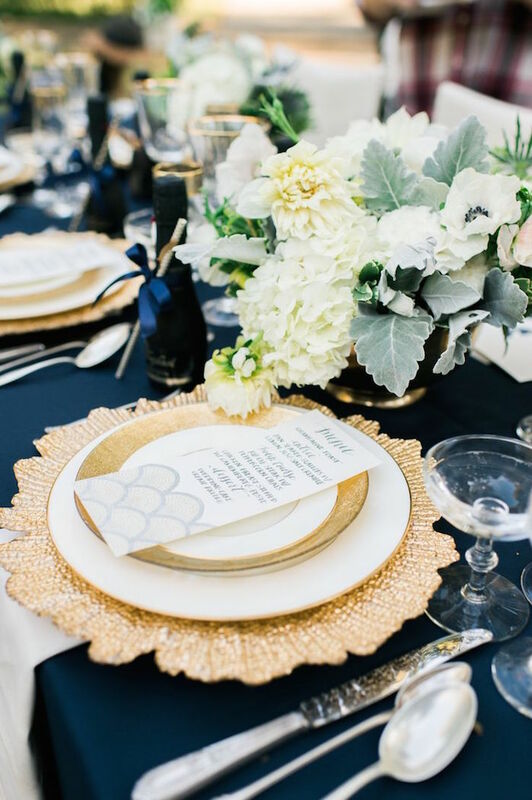 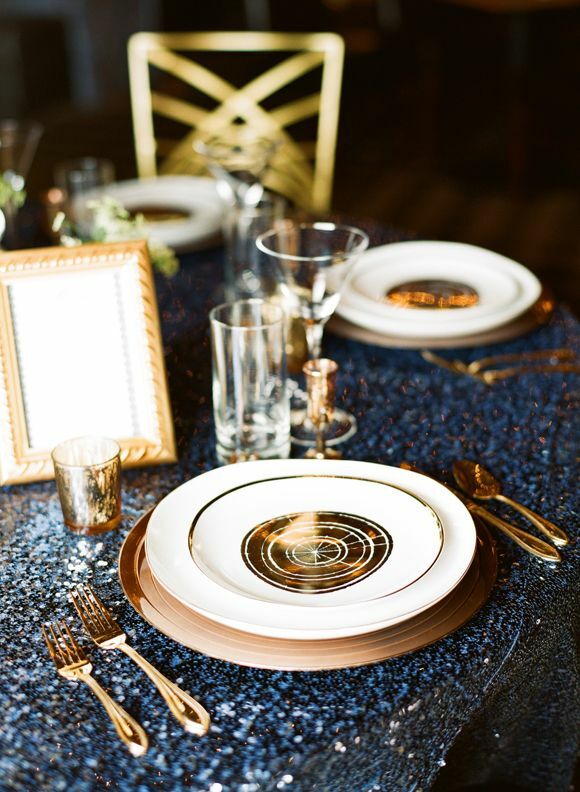 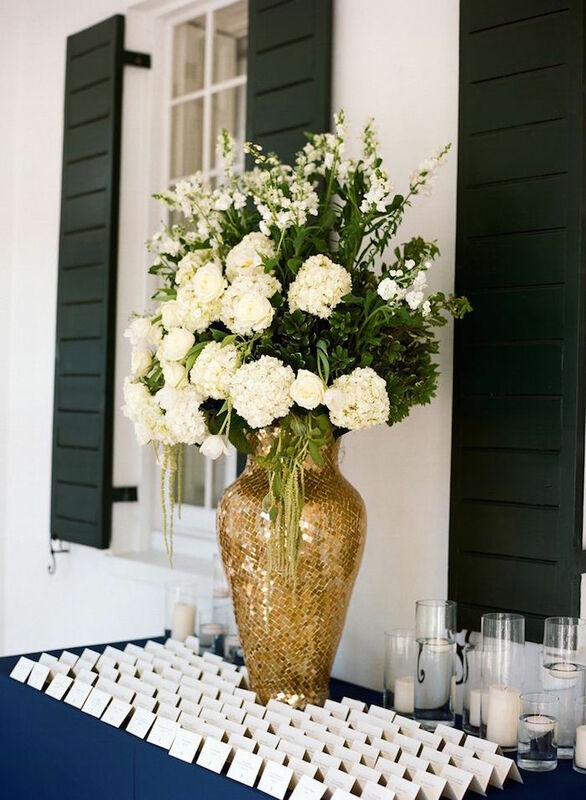 Blue wedding ideas look best with a little gold flair! 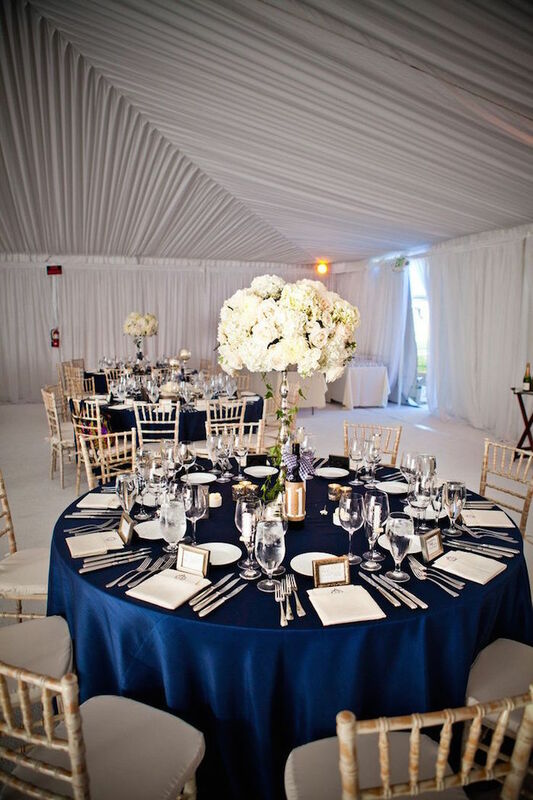 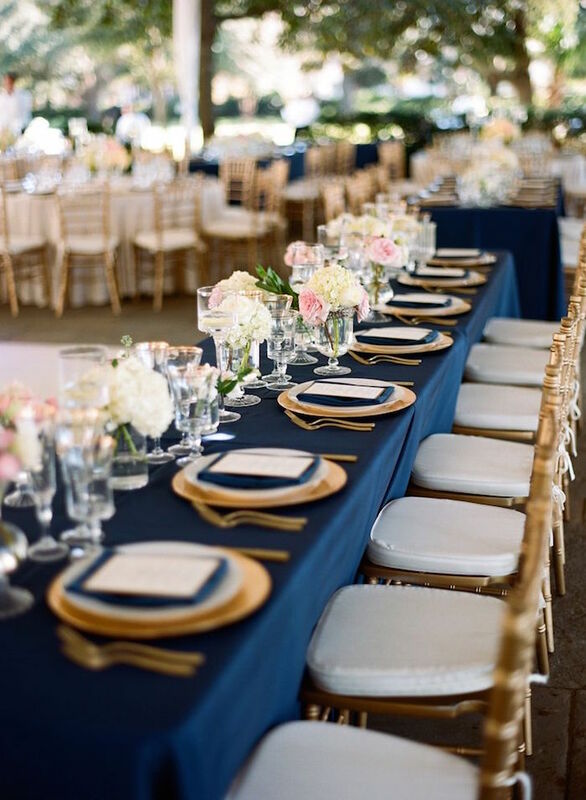 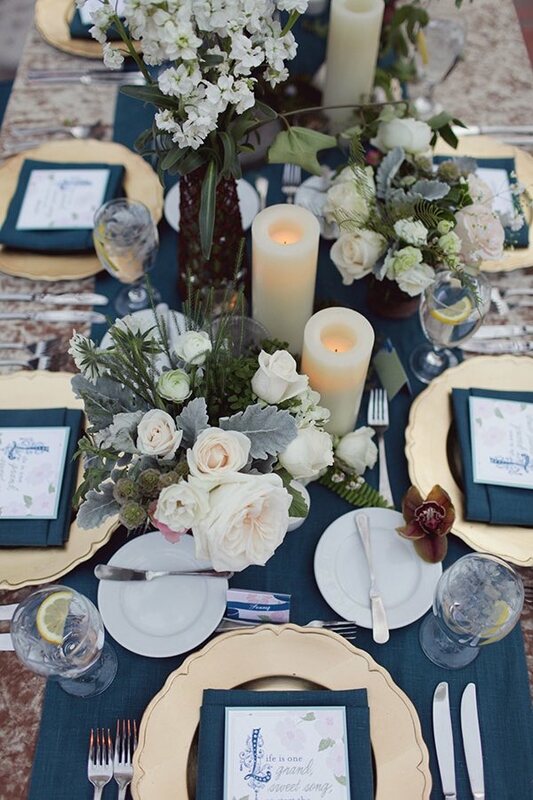 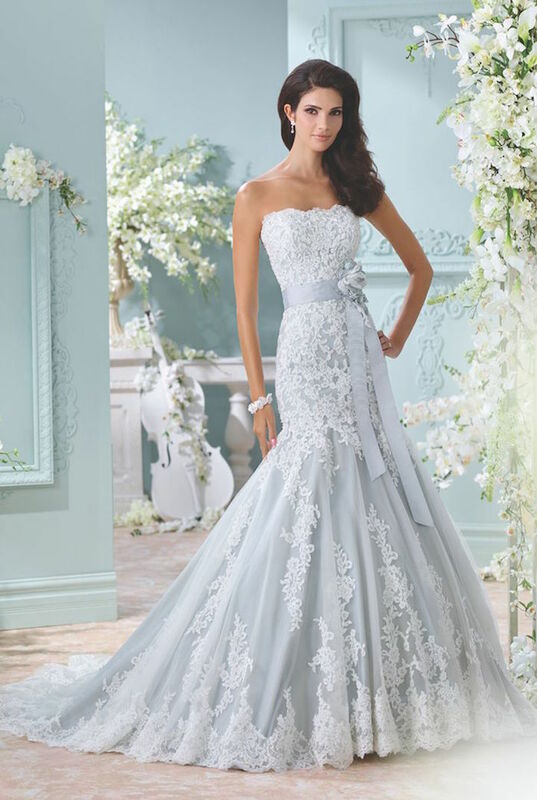 Navy, royal or light blue, all shades of this lovely color can truly light up a reception. 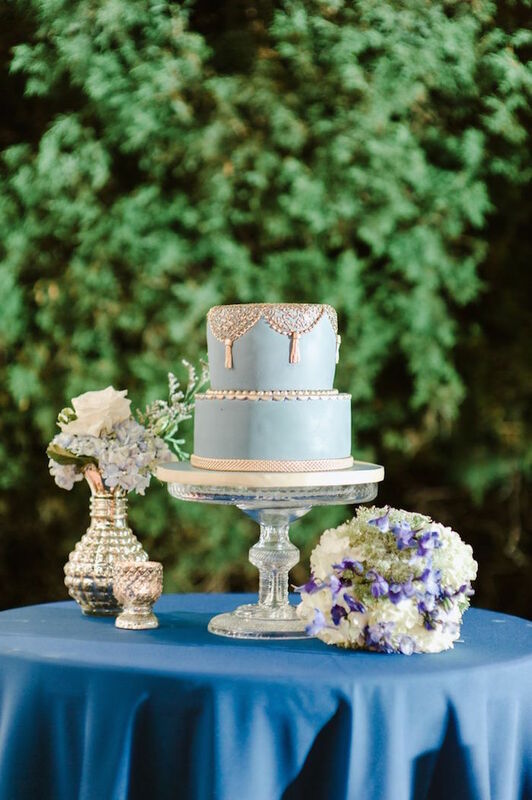 These are the cutest and most elegant wedding cakes! 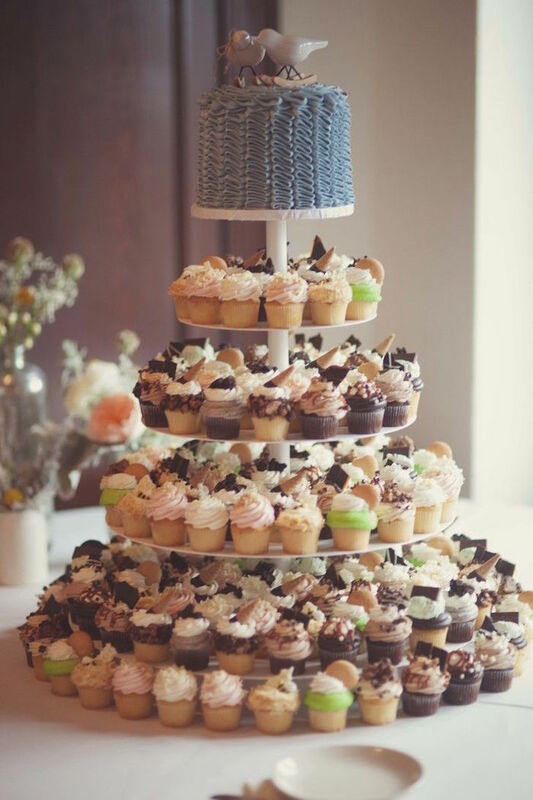 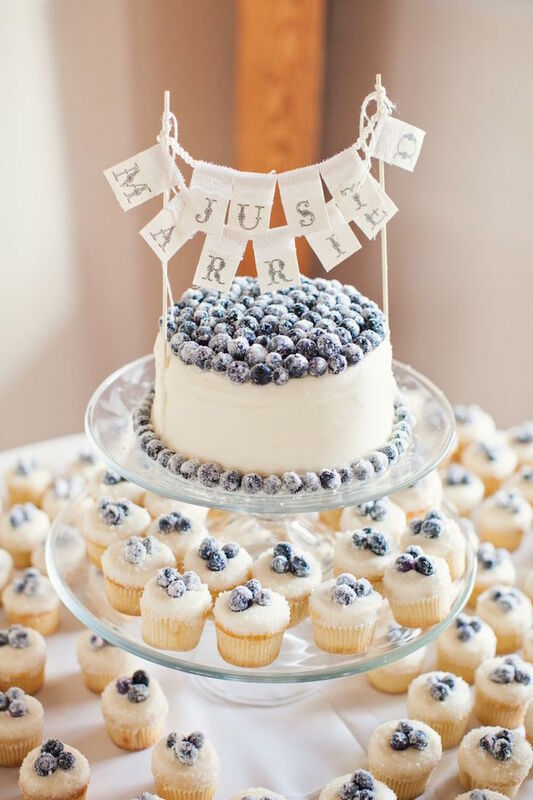 These sweet treats go above and beyond to add adorable details in these blue wedding ideas. 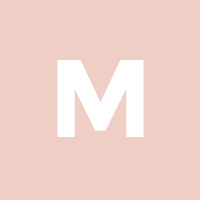 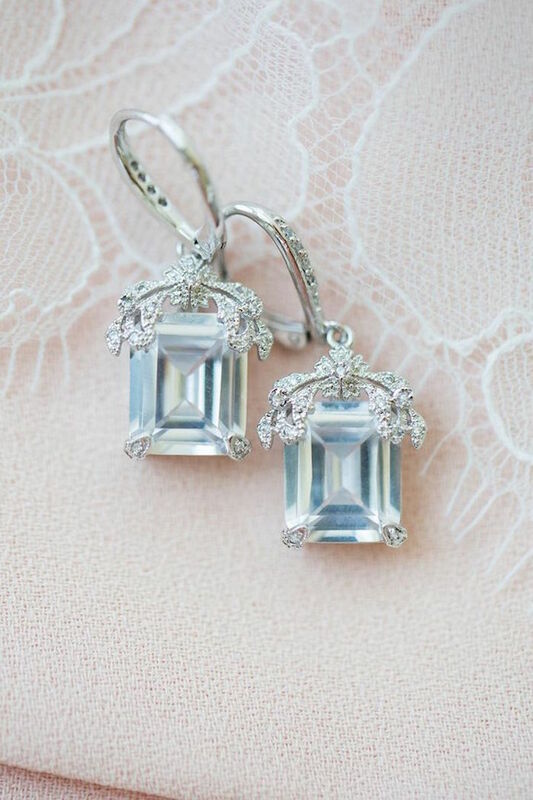 All brides need the prettiest accessories to really stand out! 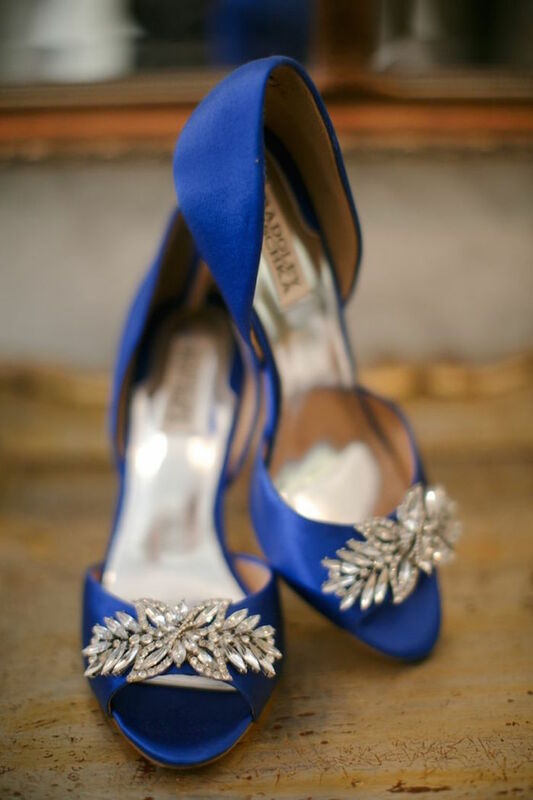 To go along with these other fabulous blue wedding ideas, jewelry can play such a huge role in the color scheme. 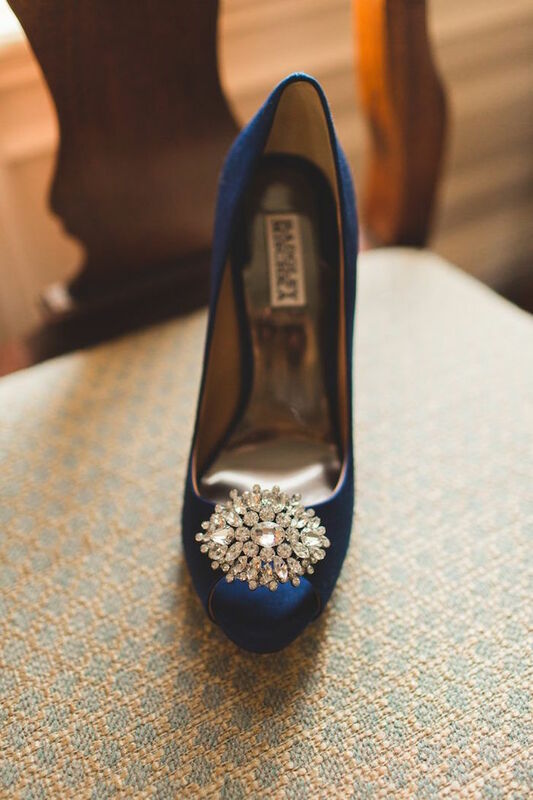 Stunning Badgley Mischka shoes and elegantly sophisticated table settings have made these blue wedding ideas simply flawless. 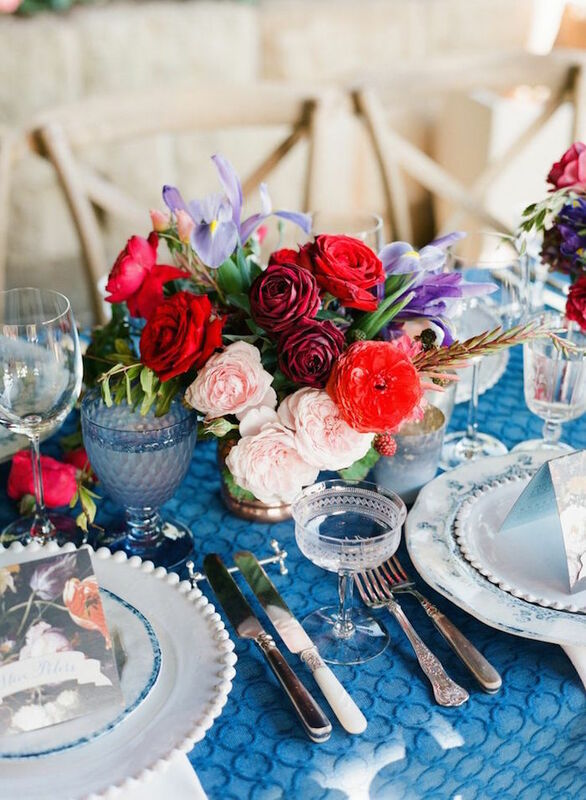 We can’t get enough of our colorful wedding inspiration, and these blue wedding ideas are the perfect way to start off the day!